Yay! It is finally getting warmer and this means, it's time to start shopping for spring! Kick off spring shopping with this easy-breezy guide to 10 spring fashion essentials for stylish girls. 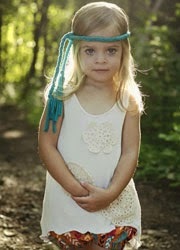 Your cutie pie is guaranteed to be dressed according to the latest fashion trends. 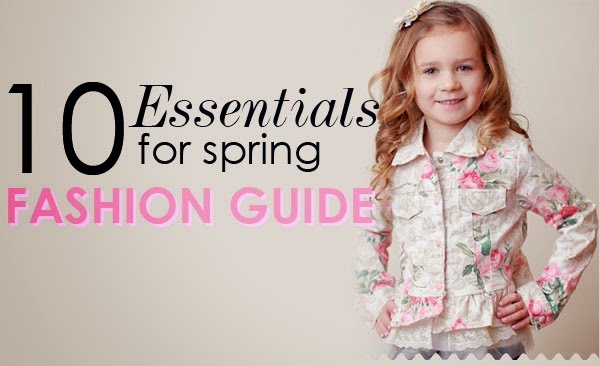 Whether you are shopping for a 2-year-old or 12-year-old, My Little Jules has all the girls boutique clothing spring styles she needs to be the best-dressed kid on the block! Here we go! 1. Light jacket is a must-have for spring and summer. It is perfect for cooler nights when she needs that extra layer to keep her warm and cozy. Here are our faves. 2. Rain boots. For infinite fun no matter the weather, she needs a pair of cute, durable rain boots. 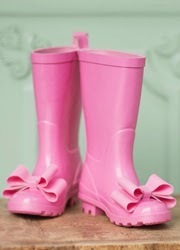 Each pair of Joyfolie rain boots comes with a coordinating umbrella. 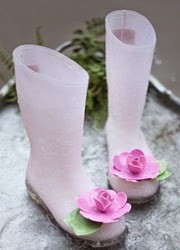 These stylish rain boots will make a great gift and are perfect for pictures. 3. Party dress. 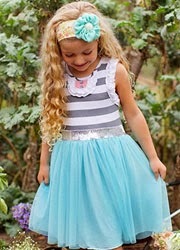 Whatever the occasion, from Easter egg hunts to birthday parties and daddy-daughter dances, she needs a beautiful party dress. 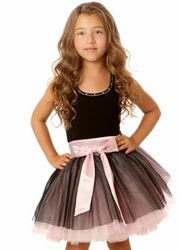 My Little Jules boutique offers a wide selection of boutique girl dresses for ages newborn through 16 years. 4. Cute swimsuit - another must-have for spring. Shop our selection of Kate Mack swimwear to find cute bikinis, tankinis and one-piece swimsuits. We also carry matching dresses and beach cover-ups. 5. 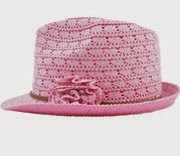 Fedora hat. 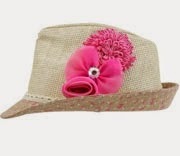 Sun protection 101 requires that your child wears a hat whenever exposed to sun. 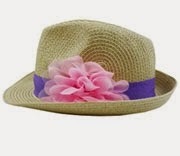 Fedora hats have been very popular in spring kids fashion because they are cute, stylish and provide good coverage. 6. Stylish maxi. 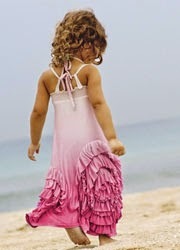 Long dresses and skirts have been very popular this spring thanks to growing popularity of bohemian-style clothing. Choose from a variety of styles to find the one your girl is sure to love. 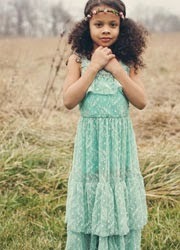 From everyday to special occasion, My Little Jules has oodles of beautiful maxi dresses in sizes 2 years through 16. 7. Fun sandals. 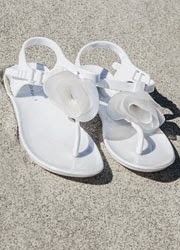 You can't do beach without a pair of cute sandals. From stylish leather Joyfolie gladiator sandals, to sweet water-proof Kate Mack sandals, pick a pair that fits her style and needs. 8. White tunic. Perfect for spring and summer heat, while tunics are comfy and versatile. Wear one with a pair of shorts, pants, jeans or even as a beach cover-up. 9. Wide leg pants have been very popular in spring 2015 as well. Choose a pair in lightweight fabric to make sure they are not too hot in warmer weather. 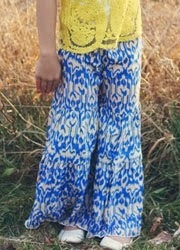 Or grab a pair of denim bell bottoms by Jak & Peppar for those cooler days. 10. Ruffle shorts. 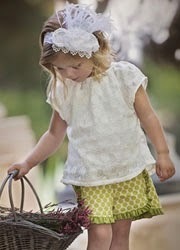 A huge hit every spring, Lemon Loves Lime ruffle shorts are cute, comfy and versatile. 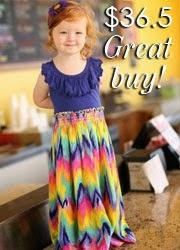 Made from the softest knit fabric, they come in a variety of bright colors to match anything in her closet. 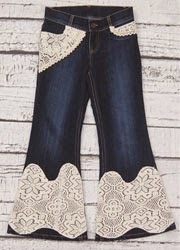 Many of featured styles are already in stock and the rest will be arriving soon. SHIPPING IS FREE on orders $50 in the US and $79 in Canada.